While celebrating the milestone, the focus for ibtm, according to the promoters, is firmly on the next 30 years and beyond. This year, some 3,000 exhibiting companies representing over 150 countries will attend, ensuring a comprehensive offering for meetings and events planners. Exhibitors range from destinations and conference centres to technology companies and suppliers from across the industry, and over 70,000 pre-scheduled meetings are set to take place over the three-day event. The event’s Knowledge Programme includes topical panel sessions and an educational programme of content covering seven engaging themes, including industry trends, safety and security and innovation, disruption and technology. The event’s market-leading Innovation Zone and Technology and Services Zone experience increased footfall every year as they provide a much-anticipated opportunity to discover and interact with the latest new and emerging technologies and solutions. There are several new initiatives for ibtm world 2017. 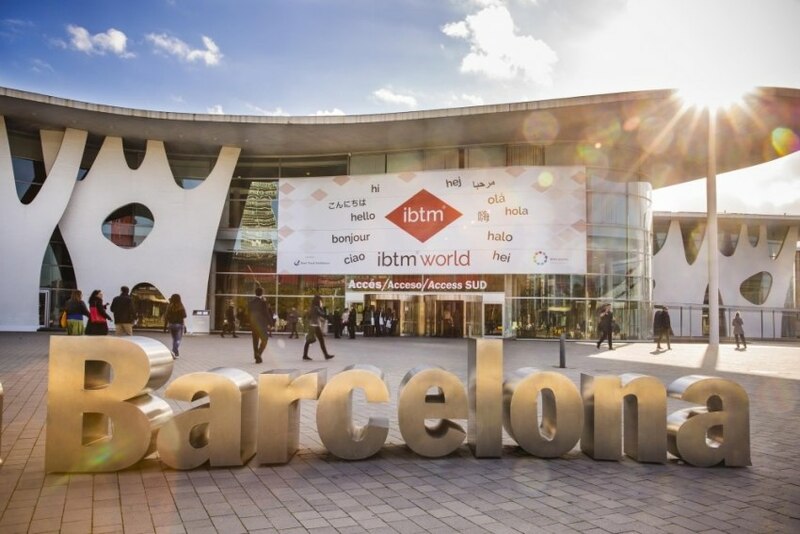 This year will see the rollout of an enhanced Hosted Buyer programme which will now see ibtm events pre-selecting and qualifying Hosted Buyers allowing them to be fast-tracked through the process. This will allow ibtm events to be more targeted in ensuring the highest calibre Hosted Buyers are invited to attend the event. The programme also has been designed to deliver added value for exhibitors, by targeting buyers matched according to exhibitor needs. A select group of elite invited Hosted Buyers will benefit from a new VIP experience which will include limousine transfers to and from the airport, access to an exclusive VIP lounge for the three days of the event, 5-star accommodation and a more flexible diary of appointments. Additionally, on the back of research indicating a requirement for more appointments from both exhibitors and Hosted Buyers, this year Hosted Buyers will commit to 10 pre-scheduled appointments per day, creating more appointments and therefore more opportunities to do business. Several exhibitors are this year taking bigger stands, and brands who had shared in previous years are choosing to take stands in their own right. New exhibitors confirmed to attend this year include Visit Wales, Synergy International Italy, Fiesta Hotel Group, Meet Puerto Rico, Visit Almaty, Titanic Hotels, Ceara, Designer Incentives and Conferences India. Associations include The Optical Society, European Health Management Association, European Society of Ophthalmology, Association of International Seafood Professionals, European Cystic Fibrosis Europe, International Financial Cryptography Association, World Federation of Tourist Guide Associations, and UEFA. Also new for 2017 is the Start-up Pavilion, where attendees can meet with an exciting mix of suppliers to discover and learn about new technologies and experiential solutions that are set to make a real impact on event planning and production in the future.